A range of anti slip runners, ideal for kitchens, hallways and areas that require an anti slip runner. 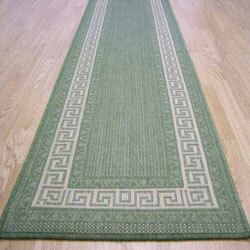 Greek runners are hard wearing, water / stain resistant and easy to clean. The pile is made from polypropylene and the backing is anti-slip latex.